On March 18, 1950, 13-year-old Janett Christman was babysitting for the Romacks in their small, isolated home on the outskirts of Columbia, Missouri. That night, the police received a phone call from a girl screaming hysterically but were unable to get an address. At 1:35 a.m., the Romacks returned home to find Janett murdered. 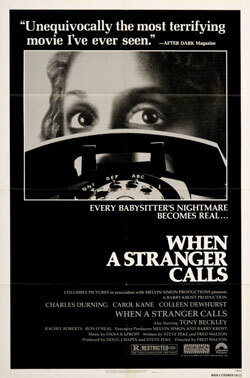 The still-unsolved crime inspired the widely told urban legend, the babysitter and the man upstairs, which itself inspired several movies including the 1979 horror film “When a Stranger Calls” and its 2006 remake. This is Based on a True Crime. ANNOUNCEMENT: Our Patreon is live!!! Please check out our page on Patreon for all of the details.